Do you want to include more healthy foods in your daily diet? Then you must try natto, or nattokinase. It is a Japanese superfood that has nutrients that lower cholesterol levels and help in keeping your heart and bones healthy. In addition to all that, natto has many other benefits as well. Would you like to know what they are? Just keep reading. Natto is a rich source of vitamins K1 and K2. The first is commonly found in green, leafy vegetables and the second is produced by bacteria. There are not many foods that contain this vitamin, and natto is one of the rare ones that have both. With a serving of 100 grams, you get 23.1 micrograms of Vitamin K, which is 29% of the recommended daily intake. This vital vitamin helps in regulating blood clotting, calcification of arteries, and preventing bone loss. Vitamin K deficiency can cause osteoporosis and an increase in bleeding. Natto is super-healthy because the soybeans it is made from are fermented. Processed soybeans that are not fermented can cause health issues such as hormone and thyroid dysfunction. However, the fermentation process helps in the elimination of these problems. Fermented soy also contains a significant amount of bacterial cultures that are beneficial to health. 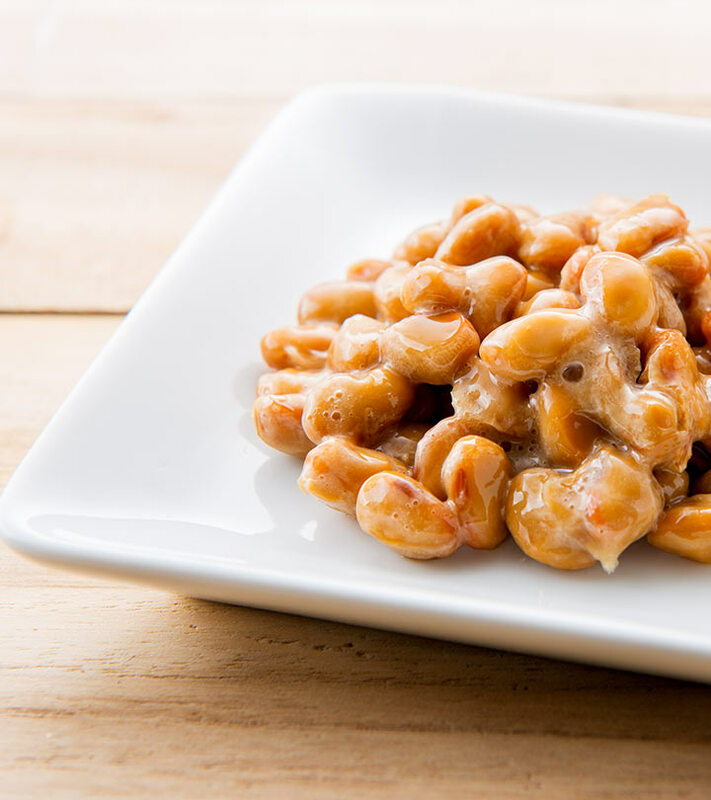 They help your digestive system and act as a natural laxative, which makes natto a great remedy for constipation. With 100 grams of natto, you get 217 milligrams of calcium, which is 22% of the recommended daily intake, and 115 milligrams of magnesium, which is 29% of the recommended daily intake. It is common knowledge that calcium is required for strong bones and teeth, but not many people know that magnesium is essential for absorbing calcium. Natto has both these minerals in large quantities, which is why it is the ideal food for bone building and protecting your body from bone-related diseases such as gout, osteoporosis, and arthritis. With 100 grams of natto, you get 13 milligrams of Vitamin C, which is 22% of the recommended daily intake. As you know, this essential vitamin is one of the most powerful antioxidants. It protects you against the damage caused by free radicals, which otherwise can result in cancer and degenerative diseases like macular degeneration and cystic fibrosis. Apart from this, it is also rich in properties that boost the immune system. Natto is popular among vegans and vegetarians because it allows them to get important nutrients that are normally obtained from meat and meat products such as iron and proteins. 100 grams of natto gives you 17.7 milligrams of protein, including all the 8 essential amino acids, which is 35% of the recommended daily intake. You get 8.6 milligrams of iron, which is 48% of the recommended daily intake. Protein helps in building cells and muscles while iron is required for the transportation of oxygen to the lungs. You get just 212 calories and 5 grams of dietary fiber with 100 grams of natto. This is why this superfood is a wonderful breakfast option if you are trying to lose weight. While 100 grams of natto has a fat content of 11 grams, you do not need to worry about gaining weight as these are good fats that your body requires for energy. Natto contains lenoleic acid, lecithin, and fiber that help in the purification of blood and improvement of digestion. It is also rich in Vitamin PQQ, which you may not have heard about. It is a vitamin that is mainly gained through diet and is essential for the maintenance of beautiful, healthy skin. Blood purification is necessary for healthy skin, and with natto, you get both. World-renowned doctors and advocates of natural health recommend including natto in your daily diet. It is considered to be excellent for people who are looking for vitality and longevity. According to these experts, the health benefits of natto are truly unparalleled. It can fight cancer, breast cancer, in particular, as it contains flavonoids and isoflavones. It also prevents Alzheimer’s and provides protection from heart attacks and heart disease as it has blood-thinning effects and phytoestrogens. Before you eat it, whip it in a bowl about 50 times until it becomes foamier and lighter. Natto is best eaten cold. You should not go over 150 degrees Fahrenheit when heating it as it can cause the enzymes to become less effective. If you cannot acquire a taste for this dish, you can always take a supplement instead. 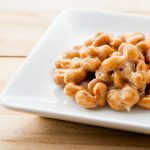 Some practitioners say that supplements do not provide the same benefits as the real natto, but there are reports that many people gained significant results and improvement in their health by consuming natto supplements. Natto can be consumed by a large percentage of people who have soy sensitivity. This is because the proteins that people find hard to digest are broken down during the fermentation process. As you can see, natto is an ingredient that has loads of goodness, and it is definitely worth adding to your diet. Modern diets contain many unhealthy components that do very little for your body. Eating foods that are all-natural is important if you want to increase longevity and gain a healthier heart, a sharper mind, healthier bones and more beautiful skin. Natto is just the food to help you. As mentioned earlier, it contains unique vitamins, enzymes and amino acids that not all foods can provide. It is these nutrients that make natto a powerful fighter of intestinal disease, stroke, heart attacks, osteoporosis, cancer, senility, etc. Include natto in your daily diet and you will never regret it. Natto is filling and also nutritious! Try it today! Tell us how this post has helped you. Do comment in the box below.